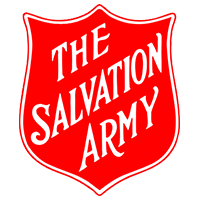 The Salvation Army is a registered charity using Christian priniciples to offer help and support for those in need throughout the globe. With approx. 2500 staff and volunteers, 1500 core offices and 18 Divisions throughout the UK and Ireland, it is one for the UK's most prominent charities. Christian Cundall, Head of Messaging Services, talks about the need to introduce a new solution for user management and auditing "We were experiencing 1,000 calls a month to our helpdesk for user account related changes. Any change requests would need to be confirmed via fax, resulting in a large paper trail which was impossible to audit. The faxes often contained errors and omissions, adding to the workload placed on our helpdesk. As we run two core systems, 90% of the work needed to be duplicated." The organisation needed to find a product that would create users, reset passwords and unlock accounts within both the Active Directory and Lotus Notes. On top of this they needed to delegate the management of distibution lists to their owners so time-consuming and repetitive work could be alleviated. Christian Cundall : "Tools4ever presented their system to us and surpassed our expectations. Not only can UMRA manage both Active Directory and Lotus Notes, it is completely customisable to fit any environment. A bespoke form can be created using an intuitive drag and drop interface, and securely delegated to any user or group." "The helpdesk is streamlined and efficient. End users do not have to wait for days for changes to their accounts, and our whole environment is more secure." With UMRA now deployed, account changes can be made swiftly and efficiently without having to rely solely on helpdesk and security risks are at a minimum. The organisation also found UMRA's ease of use to be a huge benefit as they wanted to keep consultancy to a minimum. The Salvation Army previously relied on an inefficient 'paper' system which was almost impossible for them to audit. However, UMRA has now completely resolved this issue and the organisation can now easily meet requirements. Christian Cundall: "We were impressed by its ability to force users to comply with our naming conventions, and provide a full log on all actions for auditing purposes"
The Salvation Army is so pleased with the results they have seen they are now looking into Tools4ever's new UMRA workflow system. This faster, web-based system could further enhance their auditing capabilities. "UMRA has without any doubt been a success and comes highly recommended."